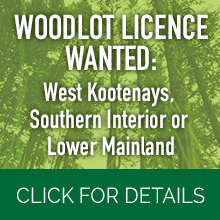 Federation of BC Woodlot Associations – Promotes economic interests of woodlot owners and sustainable business practices. 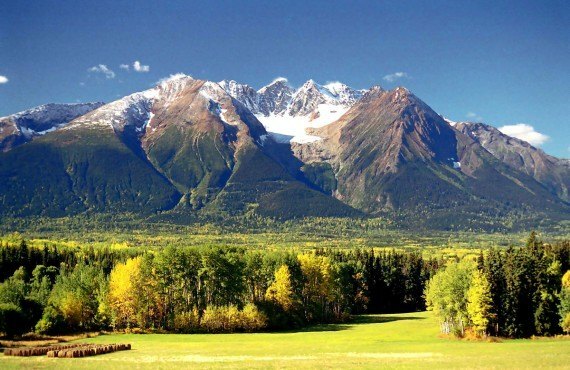 The Federation of British Columbia Woodlot Associations (FBCWA) promotes the economic and social interests of woodlot licensees, private forest landowners and others involved in small-scale forest management in British Columbia. The FBCWA’s mission is for all its members to practice exemplary forest and natural resources management in a socially, economically and environmentally responsible manner. The Federation supports education by providing two scholarships each year in the amounts of $2,000 and $1,000. The funds are generated through the ”Silent Auction” held at the FBCWA AGMs. Trevor Chambers, the recipient of the $2000 scholarship, is the son of Geoff Chambers W1719. Trevor’s father has been a member of the Shuswap Okanogan Woodlot Association for 19 years. On his father’s woodlot, Trevor has been involved with conifer release projects, walk through surveys of plantations, helping with mechanical repairs on machinery, and maintaining roads. Thomas Younger, the recipient of the $1000 scholarship, is the son of Dave Younger, W2032 and W0161. His father has been a member of the North Island Woodlot Association since 1988. Tom says woodlots have been a part of his family since he was born and that he has helped his dad with almost all phases of operation on his woodlots.